Ann Tomino LeBlanc received her Juris Doctorate in 1994 from the Paul M. Hebert Law Center at Louisiana State University in Baton Rouge, Louisiana. Ms. LeBlanc’s experience includes many facets of law. She has been engaged as a counselor in transactional areas of law such as Estate Planning and Wills, choice of appropriate corporate entities and formation of same, Real Estate, Personal Injury, and Bankruptcy. While in Louisiana, she assisted in the representation of two Louisiana self insurance funds which were successfully converted to mutual insurance companies. Within the area of Personal Injury, Ms. LeBlanc’s experience includes representation of clients in the areas of insurance policy interpretation and coverage related issues, products liability, professional negligence, RICO, insurance fraud, wrongful death, and general liability. 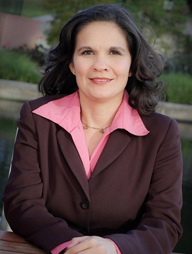 While practicing law, Ms. LeBlanc’s has also served as Adjunct Professor, teaching Business Law. She has also distinguished herself in the authoring and presentation of many seminars and legal publications for clients and organizations such as National Business Institute, Physician’s Mutual Insurance, and Black and Kaufman Insurance Agency and others. Ms. LeBlanc has served as a member of the Baton Rouge Bar Association Committee who was responsible for publishing their journal from 1995 to 1999. While in Lousiana she served as President of the Baton Rouge Association of Women Attorneys and held other offices as well. Ms. LeBlanc is a Member of the U.S. District Court, Southern Division of Texas and the Middle, Eastern and Western U.S. District Courts of Lousiana. She is a member of the State Bars of Louisiana and Texas.